Everything in Italy is consumed seasonally.. From fruits to veggies to dessert..
An example, during xmas time in Italy, you can find Pandoro and Panettone, Carnevale, you’ll find Frittele, Crostoli and Castagnole, Easter, you’ll find Colomba and you will never find these sweets at different times. Nor should you make them during different times of the year. The recipe for Castagnole dates back to the year 700. Quite antique. And so simple to make plus you don’t even need a mixer. Only a spoon and your hands. You shouldn’t need to go to the store for the ingredients either, you should have everything in your pantry already. 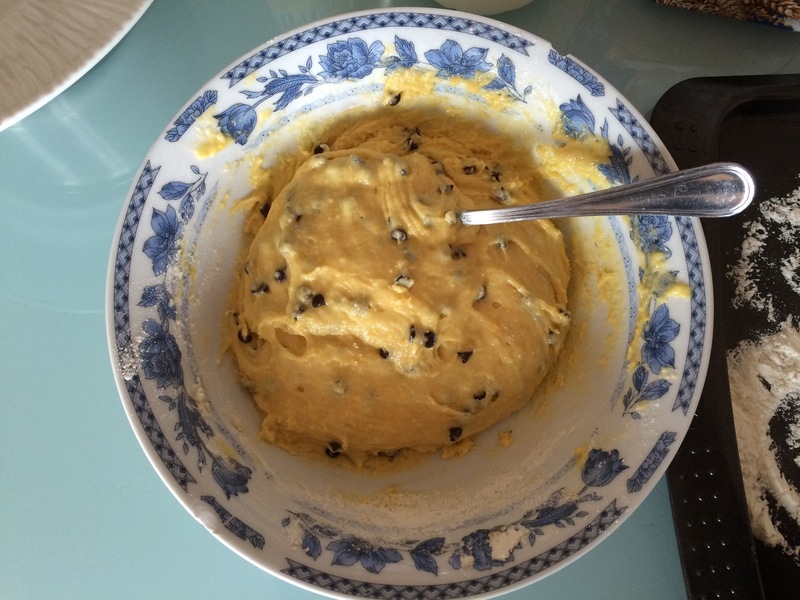 Principle ingredients are flour, eggs, sugar, baking powder, butter, powdered sugar and salt. Castagnole most certainly are the symbol of Carnevale and there is even a Italian proverb about these delicious treats. Castagnole with chocolate are a great alternative from the simple Castagnole. Crispy on the outside and soft in the center. They really do melt in your mouth. 4 grams of baking powder with vanilla flavoring. 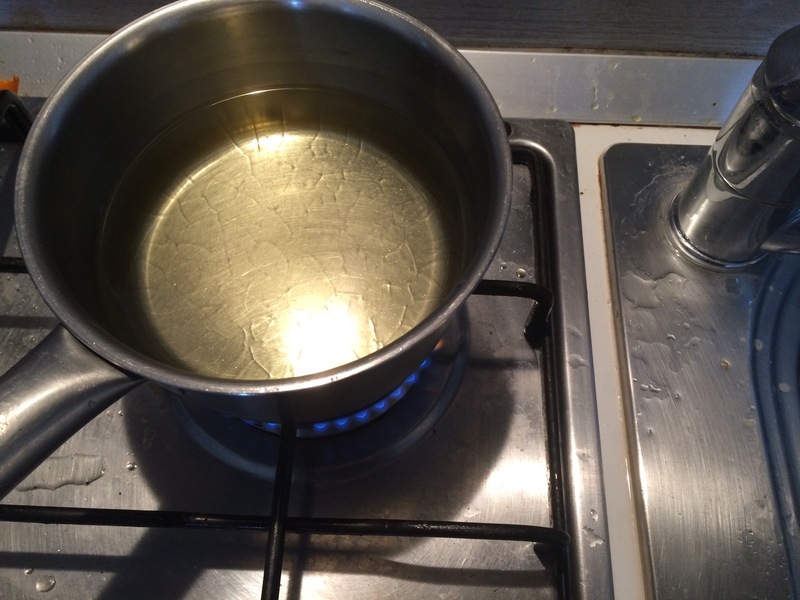 Oil for frying – I used sunflower oil. In a bowl, sift the baking soda and flour together. Stir in the chocolate chips..
Use a well floured surface to knead the pasta ‘dough’ I used a cookie sheet because I have a very small Italian kitchen. 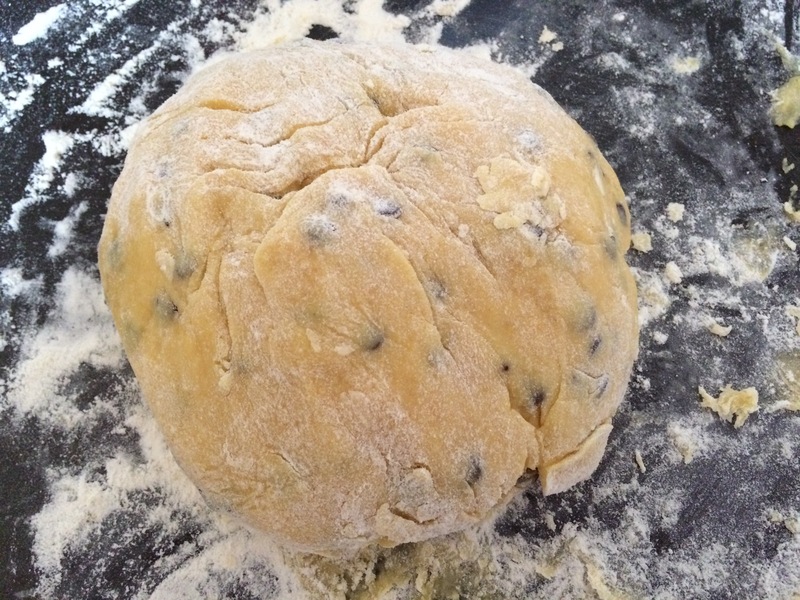 This is how the pasta or dough should look..
Cut and roll the dough into ropes and cut every two cm or so. While you are rolling the balls, fill a small pan with Oil, I used Sunflower oil and put on high. The oil must be hot. Luca James waiting patiently to try the Castagnole with Chocolate Chips.. I think it is safe to say, he LOVED them. Kid friendly too..
You will know they are done with the Castagnole are golden brown in color.. Place on a plate with a paper towel to dry the excess oil off. Once cool, roll in powdered sugar and enjoy. Carnevale ends February 9th, 2016 so be sure to try this recipe before and let me know in the comments or on Inspired in Italy on Facebook if you made them and how delicious they were.